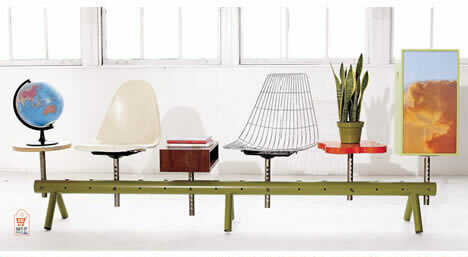 the august/september issue of ReadyMade magazine features yet another craveable DIY from the fabulous thomas wold. sir thomas made this multipurpose primping station by painting, stenciling, and covering found cabinets and furniture parts. from there, he arranged and stacked each piece in a purty and practical composition and secured them together. me likey. and, in case you're wondering, thomas wold is the design conjurer behind some of the best furniture ever, including the mushroom coffee table. 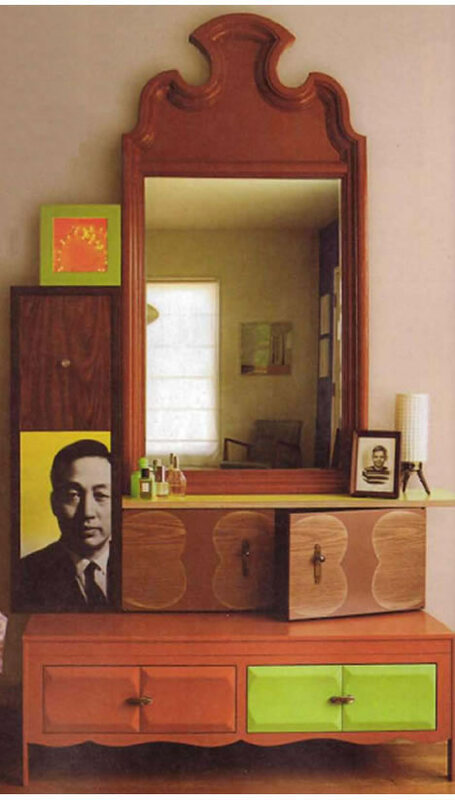 and the variety beam featured in the april issue of ReadyMade. see how he made the beam here. Saves space and looks good at the same time. 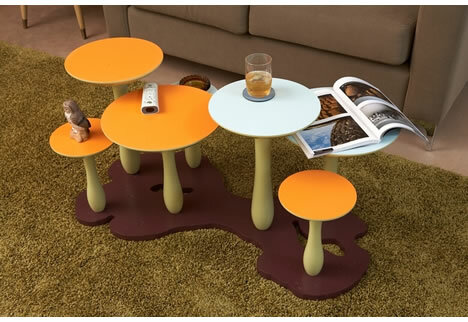 I like the concept of the mushrooms as small tables, very cute. nice design,fit well with these colors! !